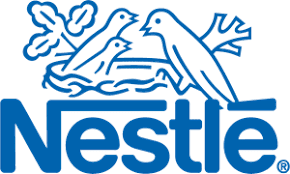 Leading food manufacturing company, Nestle Nigeria Plc has announced a profit after tax (PAT) of N16.5 billion for the six months ended June 30, 2017, showing a jump of 2,987 per cent compared with N536 million in the corresponding period of 2016. However, the company got a boost from a significant reduction in finance cost made possible by the stable foreign exchange witnessed in that period. Details of the results show that a revenue of N121.919 billion, up 51 per cent from N80.442 billion in 2016. The cost of sales rose from N47.712 billion to N73.576 billion, while gross profit grew by 47 per cent to N48.343 billion, compared with N32.731 billion. Marketing and distribution expenses trended upwards, standing at N16.863 billion, from N12.731 billion in 2016. Administrative expenses declined marginally to N4.780 billion, from N4.9177 billion. Nestle Nigeria recorded a finance income of N5.145 billion in 2016, showing an increase of 529 per cent from N817 million in 2016, while finance cost fell by 50 per cent from N14.891 billion to N7.385billion in 2017. As a result, net finance cost dipped by 84 per cent from N14.074 billion in 2016 to N2.239 billion in 2017. A further analysis of the net finance cost shows that net foreign exchange loss improved from N13.1 billion to N5.175 billion, while finance cost expenses improved from N14.891 billion to N7.385 billion. Hence, net finance cost stood at N2.239 billion in 2017, as against N14.074 billion in 2016. Consequently, Nestle Nigeria ended the H1 of 2017 with a profit before tax of N24.459 billion, up by 2,629 per cent from N896 million in 2016, while Pat grew faster by 2,987 per cent to N16.547 billion, from N535 million in 2016. Meanwhile, the Nigerian stock market remained bullish, opening the new week with a gain of 0.27 per cent to close at 37,525.38. Similarly, market capitalisation closed higher at N12.93 trillion.